Following a vegan diet can limit food choices at times. However, those who indulge in the occasional candy treat have little to fear, as many vegan candy options are available for all to enjoy. Some of these candies are made by completely vegan brands, and some are simply free of non-vegan ingredients. Next time you need a tasty treat, try one of these. A candy enjoyed by kids and adults alike, Smarties are fine for vegans. Smarties are vegan and gluten-free, and the company proudly stands behind those who choose a vegan lifestyle. 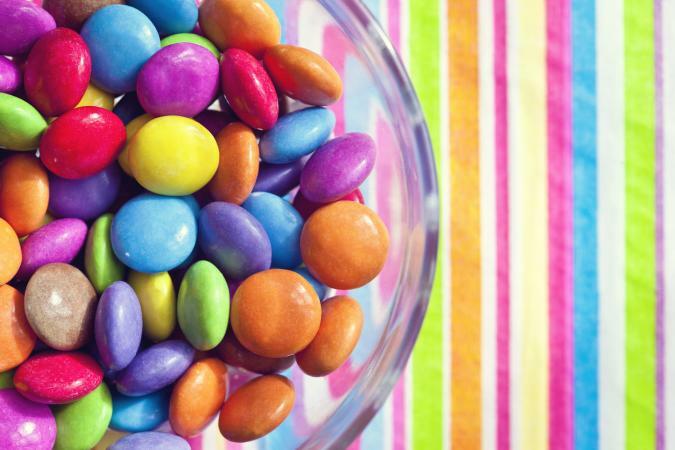 Fans of Smarties claim the candy was a childhood favorite. You can find Smarties in most local grocers or from Amazon. These red fish candies are an organic spin on the traditional Swedish Fish. Organic DelishFish cater to many diets as they use natural ingredients and are vegan, gluten-free, non-GMO, Kosher, and free of high fructose corn syrup. You can purchase them from the manufacturer for around $3.79 a bag. This childhood favorite is a tasty and vegan-friendly gum. Hubba Bubba makes an appearance on Wrigley's "suitable for vegans" list and contains simple ingredients, free of non-vegan additives. 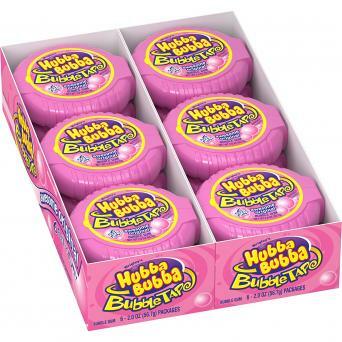 You can purchase Hubba Bubba at almost any grocery or convenience store or online. Dots are a traditional candy that date back to 1945. There sweet, chewy drops are vegan and made of corn syrup, sugar, food starch-modified, malic acid, natural and artificial flavors, sodium citrate, and artificial colors (including FD&C red 40, yellow 5, blue 1). Reviewers have a love-hate relationship with these sweet drops that stick to your teeth, but for those who like Dots, you can find them at most food retailers, such as Walmart for around $2.50. Finding vegan peanut butter cups can be difficult, but Justin's Dark Chocolate Peanut Butter Cups can ease that craving. A favorite candy of health nuts and vegans alike, these peanut butter cups have received 4.7 out of 5 stars on Influenster. Many people love them for their rich, decadent, but not overly sweet flavors. You can purchase Justin's Dark Chocolate Peanut Butter Cups at Whole Foods or from Thrive Market. Many vegans are thrilled that the popular candy, Sour Patch Kids, is vegan. This sour treat contains modified corn starch in place of gelatin to achieve that chewy consistency people love. You can find where Sour Patch Kids are sold using their product locator tool. Jolly Ranchers are a traditional fruit-flavored hard candy. This sweet treat's ingredient label includes corn syrup, sugar, and 2% or less of malic acid, natural and artificial flavor, artificial color red 40, blue 1, yellow 5, yellow 6 - all of which are vegan safe ingredients. You can purchase Jolly Ranchers at most grocery chains or on the web. Unreal has created a vegan, non-GMO, fair trade, all natural spin on peanut M&M's, and people love it. These Dark Chocolate Peanut Gems receive accolades for being a delicious treat even non-vegans love. You can buy these dark chocolate treats online at Thrive for around $4.00. Carmine - Also refereed to as E120 cochineal, this ingredient is made from crushed insects. Carmine is used as red coloring in foods. Gelatin - This ingredient is made from the bones, skins, and other parts of animals to create that Jello-like consistency. Shellac (aka Confectioner's Glaze) - This shiny finish applied to many candies is made from insect excretions. If you are following a vegan diet, have no fear as there are still many candy options you can enjoy to treat yourself. Many traditional candies simply happen to be vegan, and newer companies are making creative, delicious vegan candy as well.